The manuscripts and correspondence of Leibniz possess a special interest: they are invaluable as aids to the study of their author's part in the invention and development of the infinitesimal calculus. 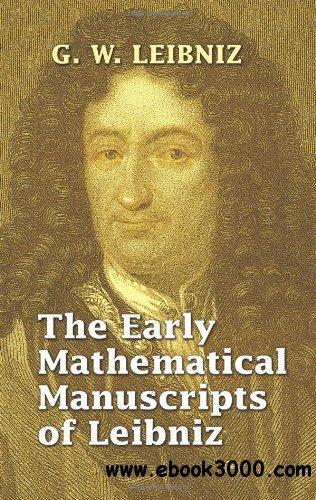 In addition, the main ideas behind Leibniz's philosophical theories lay here, in his mathematical work. This volume consists of two sections. The first part features Leibniz's own accounts of his work, and the second section comprises critical and historical notes and essays. An informative Introduction leads to the "postscript" to Leibniz's 1703 letter to James Bernoulli, his "Historia et Origio Calculi Differentialis," and manuscripts of the period 1673-77. Essays by the distinguished scholar C. I. Gerhardt follow-Leibniz in London and Leibniz and Pascal, along with additional letters and manuscripts by Leibniz.